Do you know what happened at the AppFest 2013? 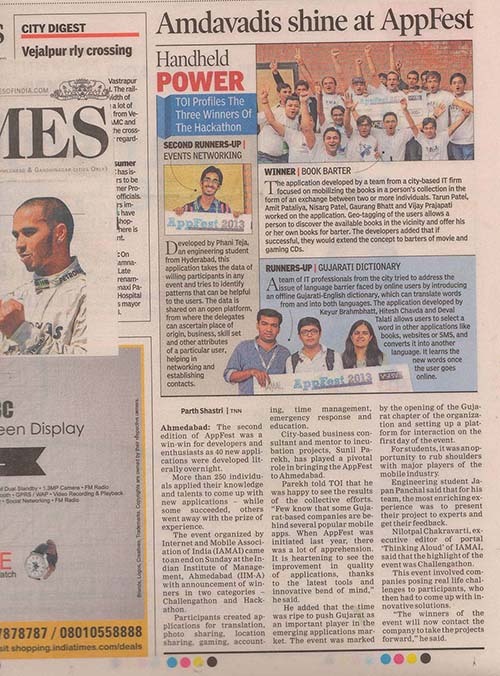 The AppFest 2013, held at IIM Ahmedabad between the 26th to the 28th of July saw over 50 teams from our country participate in the Hackathon event. With nearly 300 programmers in the house, our very own Space-O-Team won the first prize. 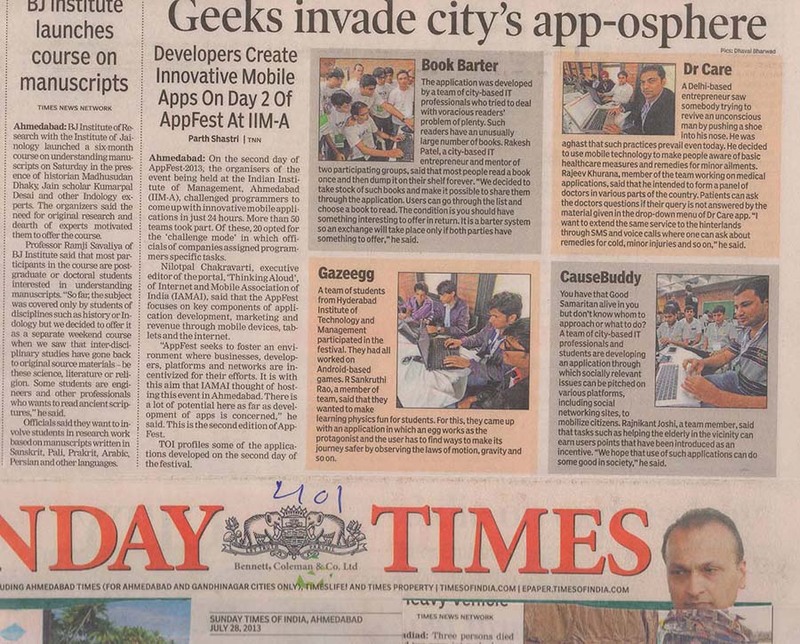 All the contestants were given the task to develop their application within 24 hours, with Space-O Team bagging the winning prize with our Book Barter App. 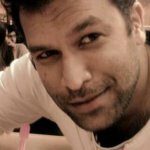 The team of five programmers created a revolutionary Book Barter concept, which is a book exchange platform for readers to manage and share their books with ease. The Times of India, covered the Hackathon, App Fest 2013, and our very own Space-O Team were up to the challenge. The IIM Ahmedabad AppFest 2013 also grabbed the attention of the Sandesh. 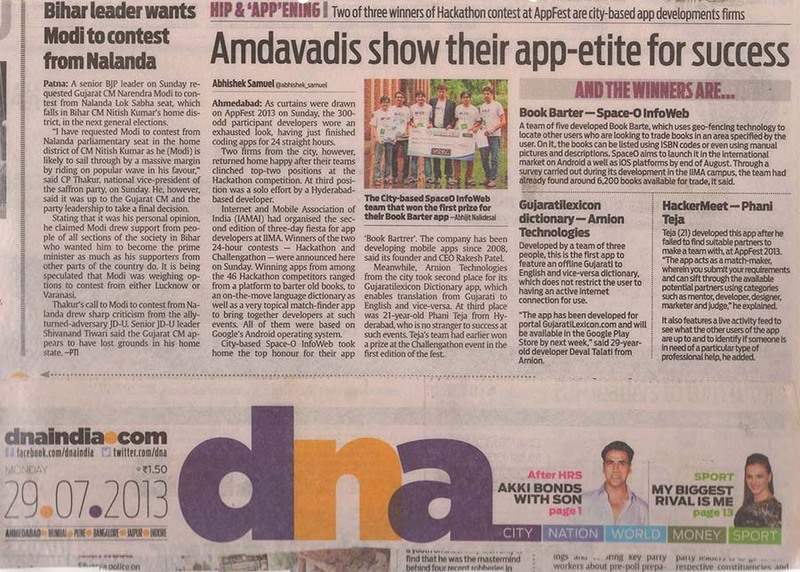 The Space-O Team shot to fame in the Hackathon event in the AppFest 2013, making our city proud. 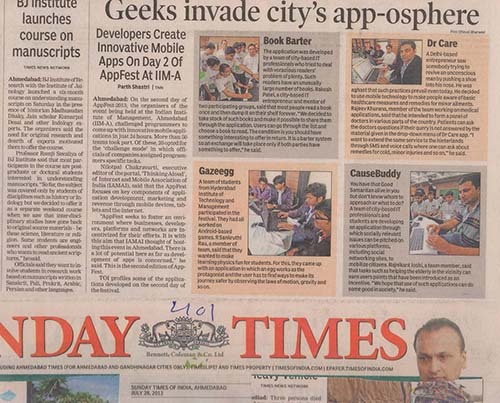 Our developers bagged the first prize in the event, claiming Rs. 75,000 in prize money. 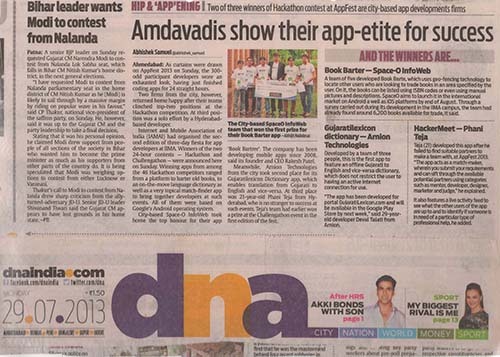 The win proves that there is a drastic improvement in the mobile app development scenario in Apnu Amdavad. 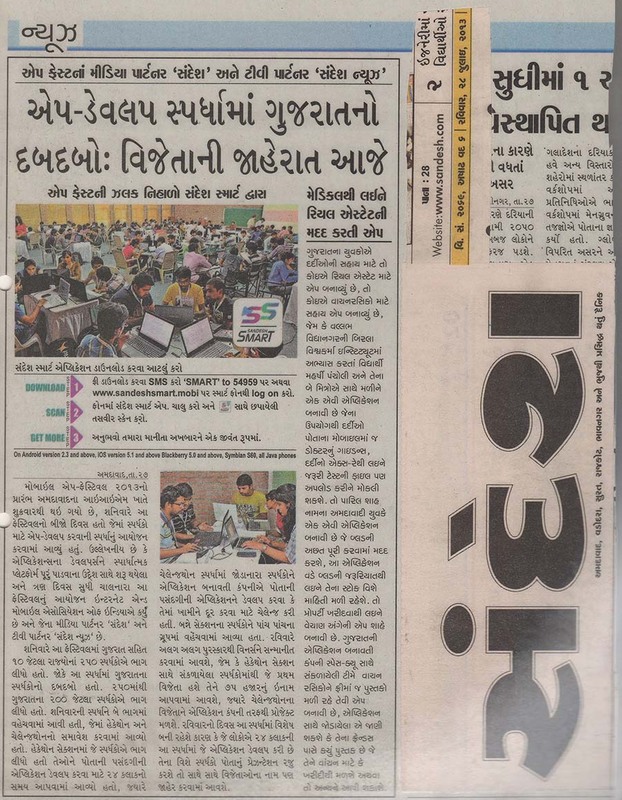 DNA Ahmedabad also covered the second edition of this event. 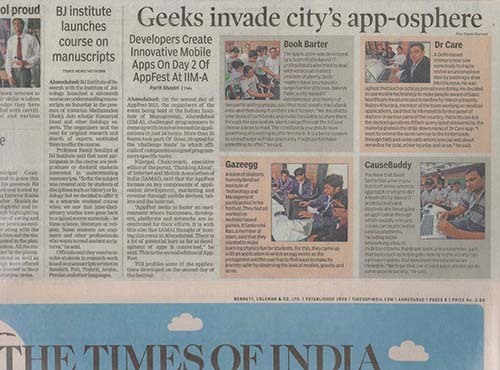 AppFest 2013 had participants from all over the country, with Space-O Team triumphing over all. 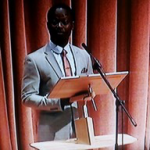 You are on last post.